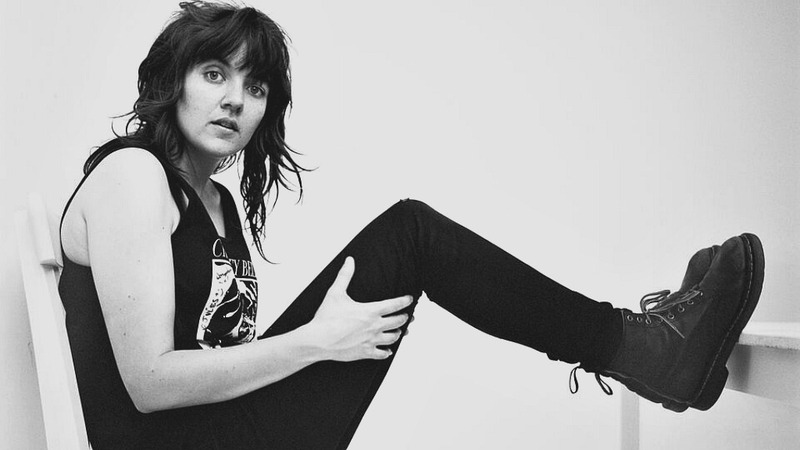 When Courtney Barnett first visited WFUV in early 2014, she spoke about her deep admiration for Bob Dylan, especially his lyrical acuity. Last year, Barnett even had the chance to strum the same guitar he played at the Newport Folk Festival in 1965 when he shocked fans by going electric. Like her beloved Minnesotan, this young Australian songwriter skillfully writes winding, detailed, character-driven narratives, like her poignant "Depreston," and resonant, more straightforward tunes too, like "Small Poppies," both found on her striking 2015 debut album, Sometimes I Sit and Think, and Sometimes I Just Sit. I used to play in this band, Immigrant Union, with my friend Rob. We’d all been rehearsing and drinking one night, and when everyone else went home, we went on a Dylan binge. He was showing me all this stuff I’d never heard of. We were doin' that 'n' playing guitars until about 6 a.m. and we only stopped 'cos I had to leave for this office job I had at the time. He said, “Do you know Joan Baez?” And I said “no, who’s that." And he searched around for this live video of Dylan and Baez singing "With God On Our Side" (Newport Folk Fest maybe?) We learned it straight away and then we started performing it together. It was around that night that I kind of figured out how to sing harmonies with someone else. Then, of course, I fell in love with Joan Baez. I was always just fascinated how he said all those words so quickly. And how those words all melted together so imperfectly yet perfectly . Of course the great video too (my friend told me “the first music video ever made") and all the later imitations that it inspired (my favourite being INXS's "Mediate.") It’s a goal of mine to learn that song, but it’s so hard to remember it all. I bought New Morning at a secondhand record store (it was $10; I had only $10) and it didn’t leave my record player for a long time. I would lay in my bed all day every Sunday and be so sad about something or other and listen to this. This was my favourite song. You know the next week, I’d been watching "No Direction Home," and I walked into that same record store next to the bar I worked at, and there was an Odetta record sitting there for $5 so i got that too: Live at Carnegie Hall. One of my favourite movies "High Fidelity" has a scene where Jack Black says, “Oh God, don’t tell anyone you don't own Blonde On Blonde.” I didn’t own it and hadn’t ever listened to it, so I went and got on top of that. This is the first track on the album and I thought it was the greatest thing I'd ever heard. The brass all woozy and lazy, and the casualness of it all, laughter 'n' background noise. It kinda felt to me like I was secretly listening in on a wild party of musicians dancing around jamming in some seedy after-hours joint. Some days I think I’ve written a great song but it’s just this one. So I have to start all over again. Probably one of the greatest and most timeless songs ever written, with the those damn genius lyrics: “Don’t criticise what you can’t understand." Read more FUV's Five Essentials here.